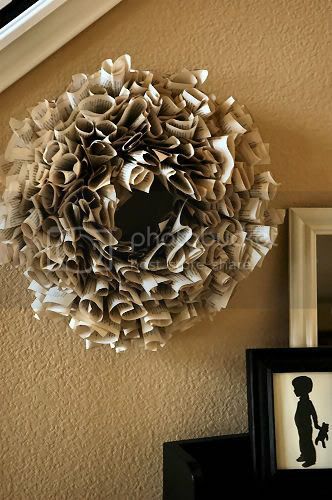 Craft Envy: I am SOOOO envious of this wreath!!! I really cannot stop thinking about this wonderful wreath created by Living with Lindsay. I love it so much, and I can't wait to make myself a couple to put over my fireplace. Isn't it the most clever idea? 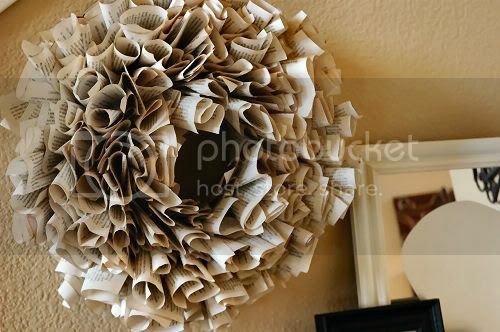 It's made out of book pages. I love it! She has a wonderful tutorial on her blog, you should check it out! I'll post a picture of mine when I finally get around to it. And I will get around to it, believe me!